In the fourth of our six Metal Gear 25th anniversary series specials Leon, Tony, Darren Gargette, Josh Garrity and Ready-Up’s Paul Rooney are inserted into the Soviet jungle via HALO jump to talk turkey, tree frog and several taxa of fungi. 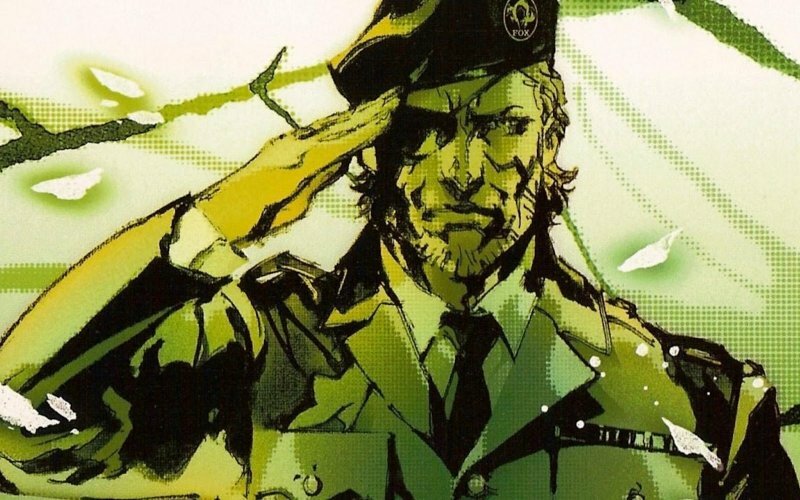 Is 2004’s Bond-tinged, Sixties-set Metal Gear Solid 3: Snake Eater the green sheep of the Metal Gear family or The Big Boss? Josh gives a lesson in survival in Metal Gear Solid 3: Subsistence (PlayStation 3 version shown, SD video). Can’t believe it’s finally here! Going to start listening right away! Bless you for your enthusiasm; we thrive on it! I’d just like to say that my audio track is slightly ahead of sync, meaning that it sounds like I’m constantly cutting across and talking over people. I promise that I wasn’t like that (too much) in reality. I’d be very interested in hearing a podcast on Metal Gear Acid and MGA2. I know you’ve decided to include neither them nor Portable Ops, but please reconsider. Both games are fantastic, and are in fact the only MG games I’ve finished. Hi Hans, thanks for your feedback. There are a whole host of things we have to consider when deciding which games we’re going to cover on the podcast. The main reason we’re not doing Portable Ops, even though it is canon, is due to the lack of PSP units among key members of the team. Obviously this extends to the Ac!d games too. Furthermore we also decided not to cover spin-offs (Snake’s Revenge, Ghost Babel, Ac!d etc.) as part of this current Metal Gear run as it would have extended the series beyond the patience of non Metal Gear loving listeners. Besides, we’d also like to move onto another series of specials after Peace Walker. However, I’ve always fancied playing an Ac!d game myself so if I do ever get another PSP, or play it on Vita, it could yet get added to our big list of potential topics. Sorry it’s not the reply you wanted but I promise I’ll bear it mind for the future, and thanks for your interest. This is my favorite MGS, It’s hard not to love the Boss. On a side note… the Boss is the only other MGS character I’d love to play as besides Big Boss and Solid, Raiden never did anything for me. I know I’m years late to this one but I had to say, I love stealth games and I always replay each section until I get it just right. If I ever get frustrated with an area I just go Rambo mode, kill everyone and then restart from the checkpoint- the ultimate carthasis.